Thank you for the opportunity to present my thoughts on these important questions. The essential task of a director is oversight as the Academy pursues its strategic plan and meets its member, governance, and regulatory obligations. A director should have a good working knowledge of the Academy’s functions, responsibilities, mission, culture, history, and resources. This knowledge only derives from active involvement across the Academy’s undertakings. My participation in the Annual Meeting and Leadership Forum as attendee and presenter; my service on the Annual Meeting Program Committee, Physician Payment Policy Work Group, Nominating Committee, and ENThealth.org Executive Committee; and as BOG Representative for American Otological Society have all provided me an intimate understanding and appreciation of our Academy’s operations, resources, efforts, and future challenges. 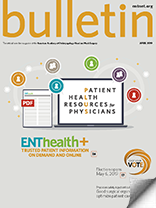 My participation as an otolaryngologist in the military, in the VA, in private practice, and in academic practice, all while engaged in educating residents and fellows, has given me the experience to knowingly represent the ENT community. My graduate education in business and public health rounds out the necessary foundation essential for service as a director. Such “from the keel to the masthead” understanding and experience is critical to fulfill the oversight role of a director serving otolaryngologists and their patients. The most important items of our Academy’s strategic plan are the core guiding principles (succinctly, prioritize and deliver high-quality programs, continuously improve performance, leverage internal and external relationships, match stable funding to the mission, promote diversity). How the principles are applied to help all otolaryngologists as medicine changes is a director’s immediate and long-term responsibility. Our Academy has to be nimble in redirecting its resources and programs as medicine changes, as there are new challenges every year, and our Academy is one of the few organizations which understands our needs, frustrations, and goals. 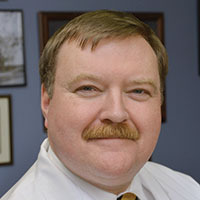 I am Professor and Chair of the Department of Otolaryngology–Head and Neck Surgery and Senior Associate Dean at Drexel University College of Medicine. While I am employed for academic and leadership activities, my clinical practice has remained independent. I understand the freedoms and challenges of a privately-owned clinical practice as well as those of an academic medical center. While writing more than 1,000 publications, including 65 books, I also have advocated for otolaryngology practice interests locally and nationally, and I provide interdisciplinary fellowship training not only for physicians but also for allied health professionals. 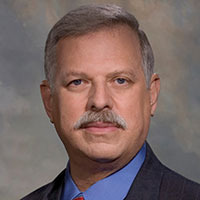 I am the Academy’s representative to the AMA for issues of impairment (AMA Guides), spent more than 20 years on the Voice Committee (six as Chair), served as a member and chair of the Geriatric Committee, have served on the Board of Governors for 13 years, and have taught Academy courses and presented papers and seminars for more than three decades. I have served in numerous other leadership capacities for the Academy and the specialty, including President of the ALA, the American Society of Geriatric Otolaryngology (ASGO), and the Pennsylvania Academy of Otolaryngology–Head and Neck Surgery (PAO-HNS), among others. In addition, I proposed the annual leadership meeting of state society presidents and executive directors and helped bring the first meeting to fruition in Alexandria, VA. I believe that the primary task of a director is to identify and fulfill the current needs of our specialty while expanding recognition of the Academy’s relevance and engaging otolaryngologists (academic and private) who remain estranged from our national organization.While I support all of the objectives in the Academy’s strategic plan, the most important is “quality.” Developing and promulgating excellence is the foundation upon which all the other strategic objectives must be built.